WXYZ was too proud to give up the music biz through the highs and lows of the charts, but finally opened the conversation for a talk format in 1984. Back in 1966 the top 40 station followed the Rock & Roll crowd, beat for formatted beat. Think Joey looks bored in his jock picture on WXYZ’s music chart? He was. My 2008 interview with Joey pinpointed when stringent station formatting became unbearable. “I quit [radio] — in 1967-68. I didn’t want any more of it, I hated it. I wasn’t going to be playing something that someone thought the audience wanted.” And there you have it! [Joey’s story and more in BFYP-Book 2, The Swinging Sixties, coming this fall.] Ah, but did he stay retired ... ? Of course, you who have reveled in Joey’s fast patter over the decades since, know he became bored in “retirement” too, and fortunately, rediscovered his love for radio. 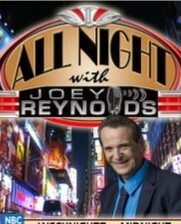 He was heard regularly around the New York / East Coast into 2011, when his All Night with Joey Reynolds airing on WNBC-DT2 ended. You might recall the night in 1962, though, while bopping to WPOP/Hartford, Connecticut, that Joey locked himself in the studio for four hours and played the Four Seasons’ “Sherry” until it HAD to be a hit … Sherry, Sherry baby … come, come out tonight … ♪. Or more recently, tried a few yummy recipes from The Ultimate Cheesecake Cookbook which he co-authored with longtime assistant, Myra Chanin. Either way, it’s worth a small donation to Reel Radio, a great non-profit that archives DJ airchecks, to walk down Memory Lane with Joey Reynolds, from Buffalo to San Francisco. Featured Radio Survey: Joey Reynolds is a BFYP pioneering DJ, with ties to both coasts and a commanding host of studio microphones in between. 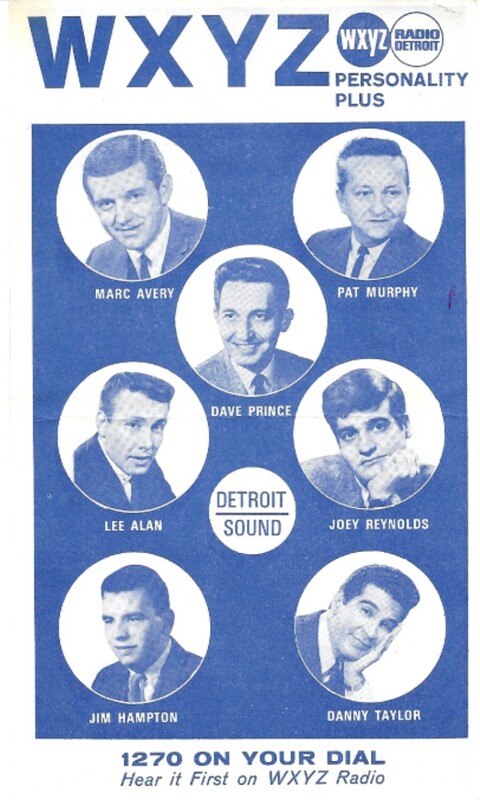 Recall the tunes Joey played for you at WXYZ/Hartford, June 6, 1966! Enjoy the Moment … Again.